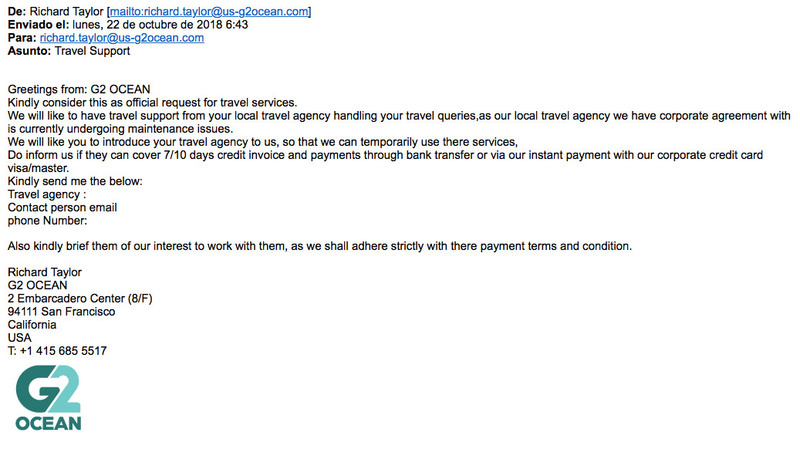 The phishing attempt has the subject line: “Travel support”. The message has been sent to agents of G2 Ocean and other companies . This email is NOT from G2 Ocean. Please delete this email immediately as it is a fraudulent attempt to gain credit. A sample of the e-mail is shown below.